Mr Rohan Arora is a principal consultant in the firm's competition law practice. 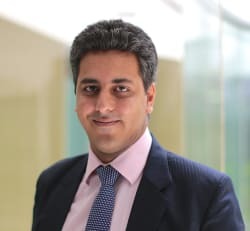 He has been involved in a number of high-profile abuse of dominance enforcement cases which include India’s first case on predatory pricing before the Supreme Court of India. On the merger control side, he has been involved in several cross-border transactions, including Bayer AG’s acquisition of Monsanto Company, the acquisition of Alstom’s Power and Grid businesses by GE and the Indian aspects of the acquisition of HJ Heinz Company by Berkshire Hathaway and 3G Capital. Rohan has been recognised by Who's Who Legal Future Leaders as ‘Most Highly Regarded’ for the past two years, and as having “great client management skills” and “in-depth knowledge, passion and commitment” combined with “providing practical solutions suited to the business environment and commercial reality”. Rohan holds an LLB from Cardiff University, Wales, UK and an LLM in competition law from King’s College, London.